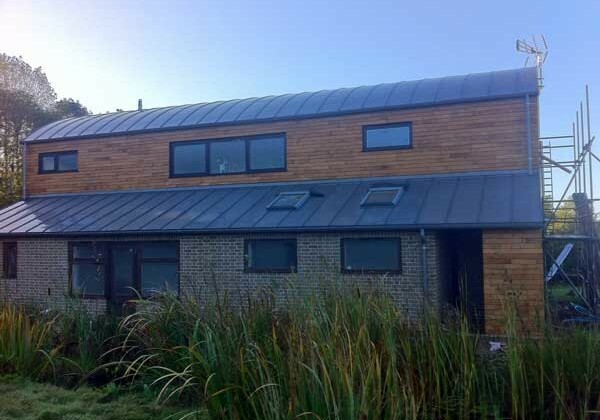 We’ve just finished on this large new-build residence near Lewes in East Sussex, comprising the main barrel vaulted roof and the lower ‘lean-to’ also with a zinc roof. 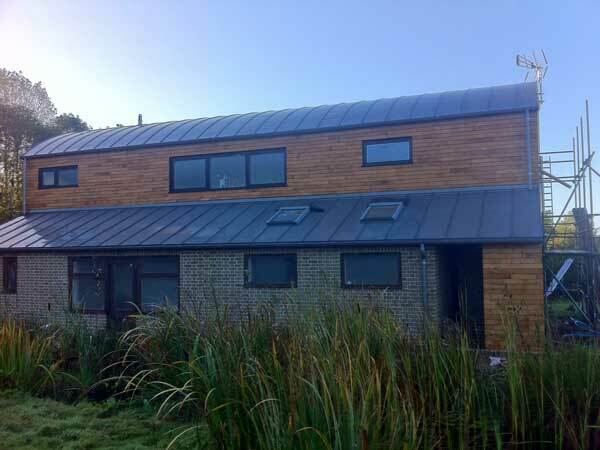 The roofs are ventilated, with close boarding under the zinc. The panels for the main roof are being installed in one run, so they are made on site and carefully lifted up to the roof.